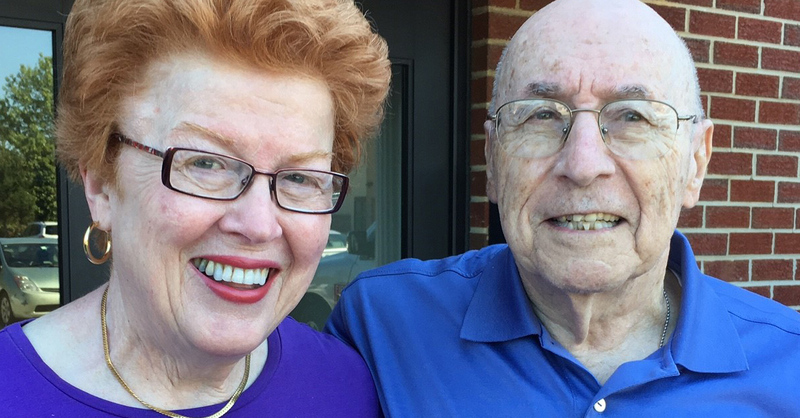 The Osher Lifelong Learning Institute at Towson University has a number of married couples among its members—but it’s rare to have such a couple who both teach in the program. With Ellen O’Brien and Rex Rehfeld, we have struck gold! I asked them to chat with me a bit about their lives after retirement, the role Osher at Towson University has played, and their philosophies on teaching and learning. Ellen is currently teaching “The Devil is in the Details”, a course that explores the history, mythology, and representations of the devil from ancient civilizations through early Christianity and beyond. Rex most recently taught “The Road to Pearl Harbor: U.S.-Japanese Relations, 1905–1941” during the fall 2015 semester. Fascinated by history, this class, like others that Rex has taught, delves into the politics of war. Neither Ellen nor Rex are satisfied to just teach the “facts” in their subject areas. Innate curiosity inspires them to ask questions, challenge assumptions, and to provoke others to do the same. For Ellen, this type of thinking has always been present. When the other Catholic schoolgirls who shared her yearbook page were quoted as saying that they wanted to be wives, mothers, and one a dental hygienist following high school, Ellen said that she wanted to be “the Devil’s Advocate”. She wanted to be able to argue the other side. 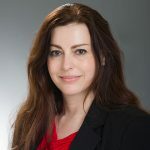 With advanced degrees in liberal arts and theology in addition to a law degree, Ellen’s philosophy as an instructor follows suit as she doesn’t want to teach people what to believe but rather to have them understand why they believe what they do. As a teacher and as a learner, Ellen wants to challenge and be challenged. Lifelong learning after retirement offers the opportunity to keep the brain active, sure, but it also provides the chance to learn new things that one didn’t have time for before. Rex pondered the importance of lifelong learning for a moment, and then inquired aloud: “Why do people want to keep learning?” I’m not sure that “lifelong learning” as a concept had crossed his mind in such a way before. He didn’t differentiate learning before and after retirement. But then, he answered his own question by saying that the aspect of socialization that one finds with learning communities like Osher has an intrinsic benefit to those who have retired. He added that his motivation to learn has always been associated with doing a better job rather than to merely learn for its own sake. This runs a bit contrary to the learning for the sake of learning mantra that many lifelong learners adopt. But, Rex isn’t the average lifelong learner and he isn’t the average teacher either. Teaching is something that Rex has done for a long time. In 1950, Rex joined the U.S. Army and was a tank platoon leader in the Korean War. His first real teaching experience was in 1951 teaching tank gunnery on a hillside in Korea during the war. Several years after the war, he taught ROTC at the University of Connecticut. After leaving the Army, he became an investment advisor. Then in 2008, he began teaching in lifelong learning programs in the area. 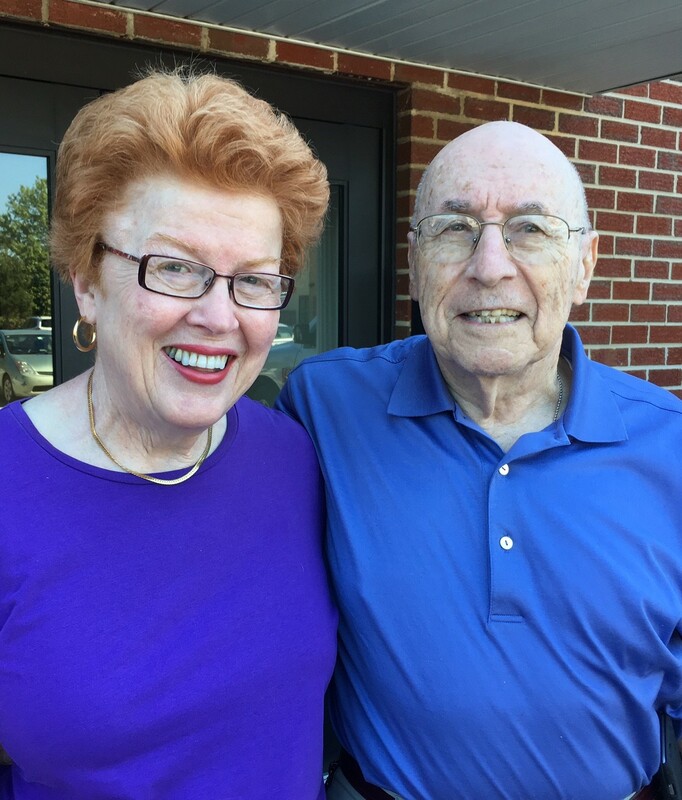 His first course for the Osher Lifelong Learning Institute at Towson University was a course on the Korean War, a subject he knows firsthand. This past summer, to honor Rex’s 90th birthday, his children established an endowment in his name at the Osher Institute at Towson University to provide for a course in the topic areas of history, politics, and economics. In the hour that I spent talking with Rex and Ellen it was clear to me that I could have spent days listening to them and never have been bored. We spanned a number of topics but their attitudes about learning and teaching came through as a central thread. Both are lifelong learners and lifelong teachers at the same time. I believe that Ellen has succeeded in her goal of becoming the Devil’s Advocate, and I suppose that Rex may have too. At Towson University, learning isn’t limited to traditional undergraduate and graduate programs. Learning opportunities abound for students of all ages, experiences, and professional backgrounds. The Osher Lifelong Learning Institute at Towson University provides classes and activities for retired and semi-retired men and women, ages 50 and older from across the greater Baltimore area.